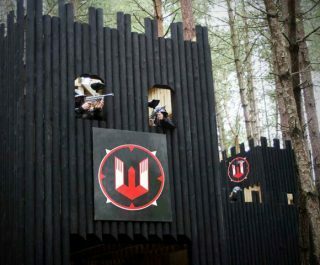 The Delta Force Wakefield paintball centre, just south of Leeds (and only 2 minutes from the M1 Junction 39), is set in a beautiful large wooded area and offers eight huge game zones to all eager players. 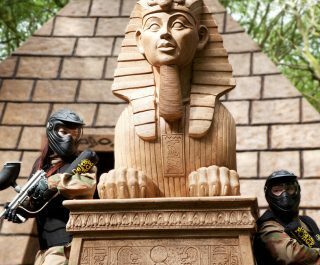 Paintballing in Wakefield is great fun, especially on the Tomb Raider game zone that features a vast stone pyramid set behind four large Mummy statues. 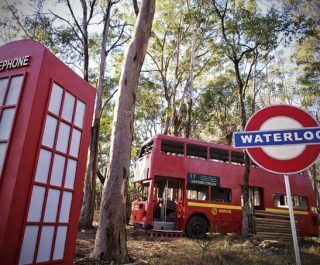 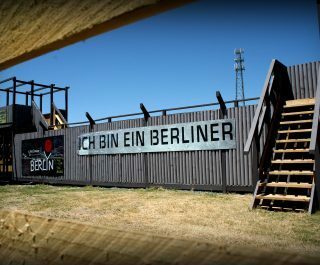 In addition, the Wakefield paintball centre is the proud owner of an 80′ long Russian rocket (on an original Cold War era Soviet launch vehicle), which is a base camp focal point for group photos. 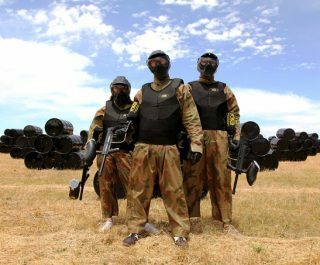 Amazing game zones, state-of-the-art equipment and welcoming staff will ensure that you will have the best paintball experience ever. 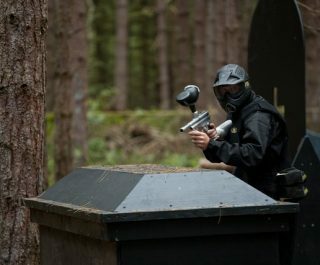 For anyone seeking to play paintball in Yorkshire (York and Harrogate) – this is without doubt your best option, and we now also host Mini Paintballing events for children aged 8-10 years. 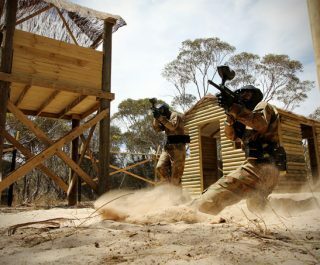 Please arrange a centre visit if you’d like to check it out before booking – it’s absolutely awesome! 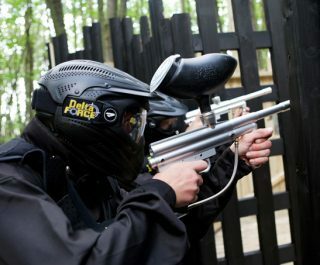 Paintballing in Yorkshire means paintballing at the Delta Force Wakefield centre!